Let’s assume that you can’t take advantage of traditional mortgages to purchase a house. However, you shouldn’t despair! Remember, you can still buy a house on credit. All that you need to do is to consider a contract for deed on a house. You should know that a contract for deed on a house has become a good option for people who are looking for a good alternative to traditional mortgages. Actually, a lot of home sellers are ready to offer contract for deed these days. That means that you’ll certainly find it easy to benefit from the contract for deed and purchase a dream house in your area. This blog post concentrates on a contract for deed on a house. First of all, we’ll provide you with some insights on a contract for deed. In other words, we’ll explain to you what a contract for deed is and how it works. Then, we’ll go further and give you more details on a contract for deed. Plus, we’ll compare a contract for deed with traditional mortgages. Lastly, we’ll outline advantages and disadvantages of a contract for deed on a house. Read on to learn more about a contract for deed on a house. 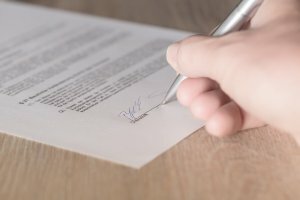 What is a Contract for Deed on a House and How It Works? The question is – what is a contract for deed? A contract for deed on a house is the type of the agreement that’s reached between a home buyer and a home seller. It’s worth noting that a contract for deed is beneficial both for home buyers and home sellers. The contract gives a home buyer an opportunity to pay for a house in installments. On the other hand, a contract for deed gives a home seller a chance to sell property at much higher price. Now, it’s time to figure out how a contract for deed works. First and foremost, a home buyer and a home seller have to reach an agreement and negotiate the sale price as well as other terms of the contract for deed. Then, both parties need to agree on the amount of down payment and set monthly payments. After the contract is signed, a home buyer begins to make monthly payments to a home seller. Keep in mind that if things go wrong with a home buyer and he/she defaults then a home seller will be able to get his/her property back. If these kinds of things happen a home seller also doesn’t have to pay for improvements made by a home buyer during the process. Below, we’ll outline the key differences between traditional mortgages and a contract for deed. Once a contract for deed on a house is signed, a home buyer gets the control of the property. In other words, a home buyer can live in the property and make improvements. However, a home seller remains the owner of the property and retains the title until a home seller pays off the debt. Another important thing that you need to be aware of is that a home buyer can’t sell a property until the contact is paid in full. However, if you deal with a lender and find it hard to make mortgage payments you can sell your property to avoid foreclosure any time. All that you need to do is to find a home buyer who agrees to take over your mortgage payments. So, you’ll be able to get cash and get rid of the debt. There are also some differences when a home buyer falls behind mortgage payments. According to the contract for deed on a house, a seller can’t demand payment in full if a buyer falls behind mortgage payments. In this case, a buyer only has to pay the missing payments. Lenders provide their customers with loan refinancing, loan modification and some other options. So, if a home buyer finds it hard to make monthly mortgage payments he/she can always contact a lender. Most lenders are ready to advise their clients upon the appropriate solution. However, the same can’t be said about a contract for deed on a house. It’s important to point out that a contract for deed on a house offers a variety of benefits to home buyers and home sellers. Now, let’s talk about the advantages of a contract for deed on a house. – One of great benefits of a contract for deed is that it gives a chance to buy a property to people who can’t qualify for a loan. – If you qualify for a loan then you’ll have to pay much higher interest rate. However, if you choose to benefit from a contract for deed on a house you’ll have an opportunity to negotiate an interest rate with a home seller. – Lenders do multiple checks prior to providing their clients with loan approval. A home buyer must have a good credit history to qualify for a loan. Generally speaking, it’s much easier for a home buyer to deal with a home seller who agrees to sign a contract for deed on a house rather than with a lender. – Actually, a contract for deed on a house gives both parties more flexibility. That means that a contract for deed on a house makes it easier for both parties to negotiate terms of the agreement. You can discuss the size of down payment and mortgage payments as well as other important things with a home seller. In most cases, lenders don’t provide home buyers with flexibility. You need to know that a contract for deed on a house also has its own drawbacks. And of course, we’ll talk about them now. – As it was mentioned above, a home buyer doesn’t own a property until he pays off a debt. That means that a home buyer will not be able to sell a property if such a necessity arises. – Another disadvantage is that a home buyer can’t make use of refinancing, modification and other options if he/she finds it difficult to make monthly mortgage payments. – It’s also important to know that a contract for deed on a house also has some disadvantages for home sellers. It may take a home owner a long time to sell a property if he/she signs the contract for deed on a house with a buyer. If you would like to take advantage of a contract for deed in San Antonio TX, please contact us today. Anchored Sunshine, LLC is always happy to help home buyers with with any of their needs!